The Fed’s interest rate increases should continue at a gradual pace. 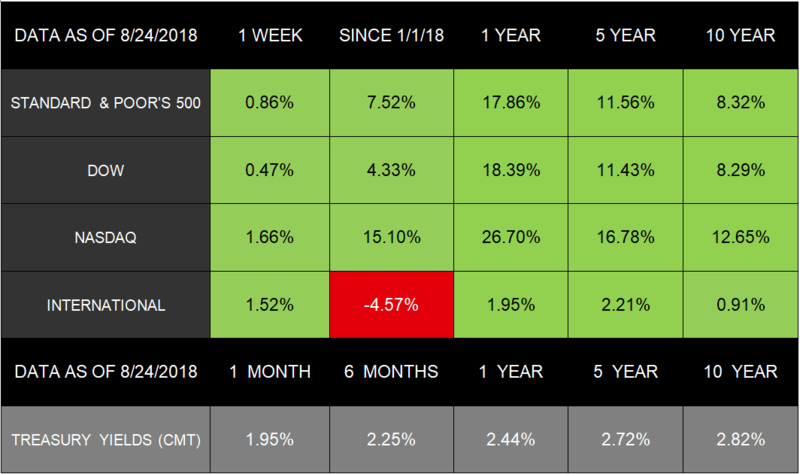 These updates may help support economists’ perspectives that the bull market still has life left.9https://money.cnn.com/2018/08/22/investing/bull-market-longest-stocks/index.html If you have questions about where your financial life stands today and in the future, we’re here to talk. Put ⅔ of the sliced scallions in a blender with the garlic, fish sauce, oil, honey, and a ½ teaspoon of coarsely ground pepper. Add zest from the lime to the blender and puree the ingredients. Pour the marinade into a bowl. Pound the chicken breasts until ½ inch thick. Put the chicken in the marinade and coat evenly. Take the chicken from the marinade and place on medium heat on a preheated grill. Cover until the chicken is cooked through, 4-6 minutes per side. 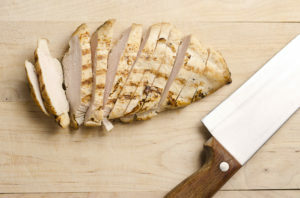 Before slicing, allow the chicken to rest on a cutting board for 5 minutes. Slice radishes and cucumbers very thin. Mix with the lime juice, then add ⅓ of the scallions. Put hoisin and sriracha on the rolls. Add sliced chicken, radish salad, and cilantro (if using) on the rolls. The IRS offers tips to tax preparers to protect their clients’ information. The agency is working with its Security Summit partners on an effort called “Protect Your Clients; Protect Yourself: Tax Security 101.” For more information, go to https://www.irs.gov/newsroom/protect-your-clients-protect-yourself-tax-security-101. The guide outlines ways tax preparers can protect client data. Learn how to recognize phishing emails. Scammers often send emails that appear from the IRS or software providers. Don’t open links in suspicious emails. Build a data security plan. The IRS provides helpful guides. Go to https://www.irs.gov/pub/irs-pdf/p4557.pdf or https://nvlpubs.nist.gov/nistpubs/ir/2016/NIST.IR.7621r1.pdf. Install anti-malware and anti-virus security software. Develop longer, more complex passwords. Encrypt sensitive files and emails. Back up sensitive data to safe, secure external sources. Restrict data access only to employees who are directly involved in preparations. You’re 40-60 yards from the green. Up until this point, your shots have been on target. But with this short distance to go, you hold back your swing. And your shot misses the green entirely. What happened? Oddly, your biggest mistake may have had to do with your swing. You held back. For those swings farther back from the hole, you put in the full effort. Your motion is complete. You put your whole body into it. For the wedges, however, many golfers make the mistake of holding back, not wanting to send the ball flying past the green. The secret for successful short shots is the feel of the swing. Make sure you set up correctly. Make sure your backswing allows you to accelerate into the ball. Swing the club wide with your hands away from your body. Your backswing shouldn’t rise higher than your chest. That way you maintain the momentum in the downswing. You should be accelerating through impact. Kick your back knee toward your target during the downswing, which shifts your weight to the front. Don’t freeze your body at this point in order to direct the club into the ball with your arms. The shorter backswing helps prevent you from overshooting the green. You may not give your knees that much thought—at least until they start hurting or causing you trouble. Pain can arrive suddenly from an injury, by overuse, or from arthritis. Besides the pain, knees may swell and get stiff. Treatment varies depending on what caused the injury. Active people may experience strains (stretched or torn muscles or tendons) or sprains (stretched or torn ligaments), which cause swelling and inflammation. The best treatment for minor sprains or strains is RICE: rest, ice, compression, and elevation. Over-the-counter pain relievers can help. Go to a doctor if your knee is numb or tingling. Too much rest isn’t good. It can weaken your muscles. A safe, easy exercise program will help sore knees heal better in the long run. Exercise. Cardio helps build the muscles and increase flexibility. Watch yourself. Painful knees can cause you to fall. Lose weight. Weight loss reduces the load on joints. Even small changes make a difference. Walking aids may help. Crutches or canes can help take the pressure off your knees. Look at your shoes. Cushioned insoles may reduce knee pressure. You can be environmentally friendly and environmentally clothed at the same time. In other words, you can help the environment by the clothes you buy and wear. Go to resale or consignment stores. Goodwill and the Salvation Army are great places for nice used clothes with excellent prices. Look at the labels. Don’t buy clothing that requires dry cleaning. Clothes with natural fibers are the easiest to clean. Go casual. Fancier clothes require more dry cleaning. Implement “casual day” at work. Recycle old clothes. Don’t throw away your old clothes. Donate them to resale stores or to charities. Wash clothes less often. While some avant-garde clothing manufacturers advise people to never wash their clothes, the best approach may be to wash your clothes less frequently. It saves water and your clothes last longer.